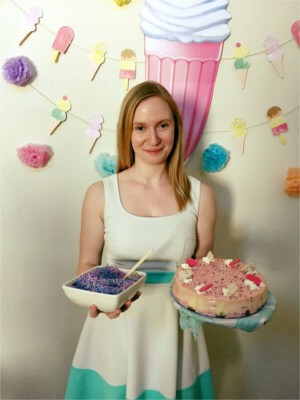 Monica Riese is the baker behind The Yeast I Can Do, a chronicle of her own baking exploits and experiments since 2009. She also serves on the AFBA board as the Philanthropy Chair. When she’s not editing for her day job or baking with friends, she can be found dining out or curling with her husband, hanging from the ceiling at Sky Candy, or trying to pet all the dogs. Tell us about yourself! Where are you from? Why do you blog? What is your focus? My name’s Monica Riese, and I’m the blogger behind The Yeast I Can Do. It’s a catalog of all my baking experiments from the last decade or so, including some savory favorites, a dozen or more bake dates with friends, and an overwhelming number of cakes, pies, cookies, and other sweets. I tell folks I’ll try making anything once. Though I grew up outside of Houston, I have lived in Austin for almost 14 years and definitely consider it home. In any case, I ran into Facebook’s 200-photo limit in the album, which is when I made the decision to jump to Tumblr for the long term. 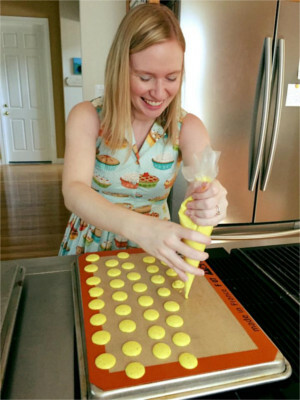 The recipes have gotten more complicated over the years—and a few friends and I will get together on weekends and attempt Hidemi Sugino’s entremet recipes—but my posting style hasn’t changed. Every post is still just a photo or two, with a quick little blurb and a link to the source. The title is a tip of the cap to my punning nature—I’m an editor by trade and a Scrabble junkie at heart—as well as a decent summary of what’s there: It is, quite literally, the stuff I can do. Just needs more bread! What is your most popular post of all time? 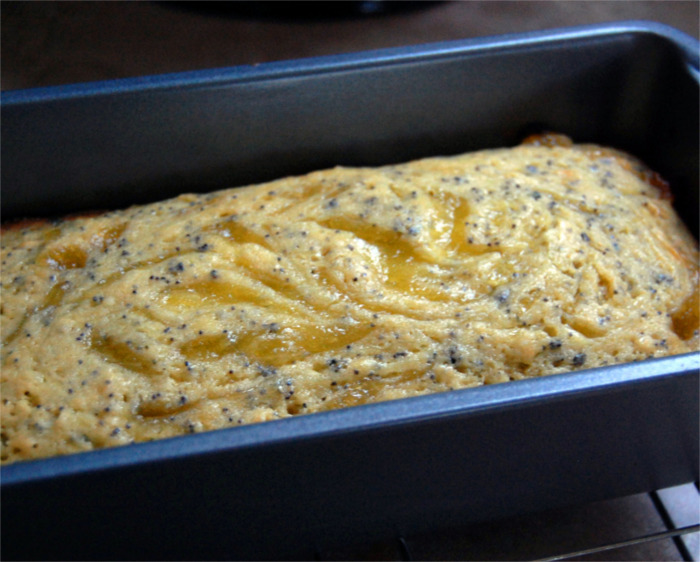 I actually wasn’t sure before I saw this question, but Google Analytics doesn’t lie: My all-time best post was a lemon poppyseed bread from 2013. My mom had given me some lemon curd, and I found a Williams-Sonoma recipe that would use it up nicely. I’ve always been fortunate to live in houses with kitchens that get great natural light, so the photo of the marbled top of the bread turned out beautifully, and it quickly gained a lot of attention on FoodGawker. I always really kept up my blog for myself or friends and family, so I haven’t put a ton of effort into getting traffic, but FoodGawker was a fun way to showcase photos I was proud of without much extra work. What items are always in your fridge or pantry? Sugar, butter, flour, and cinnamon. My husband’s much better about keeping “real” food like in stock—he’s the cook of the family!—but I always have the items on hand to make a batch of snickerdoodles. Every time we go to the grocery store, we buy another pound of butter (or maybe two! ), just because we know it’ll always get used up. If the shelf in the fridge has less than two pounds, I get a little panicky. Which three Austin restaurants/food trucks are your current favorites? I’ll put it this way: L’Oca D’Oro has its own line item on our household budget. I love the food there, and Fiore and Adam are just such genuinely nice people. My husband and I recently had the pleasure of celebrating an anniversary at Jeffrey’s, which is another outstanding dining experience from top to bottom. On the more casual front, I also adore Pieous: From pies to pastries, their food is always delicious, and I’m so proud of them for getting to grow into their big new space. What is your favorite AFBA memory? I met one of my closest friends at an AFBA happy hour, and I really enjoyed a cookie decorating class at Make It Sweet we did one year before the holidays. But I think my favorite has to be this: The first year I was a member, AFBA did a screening of Waitress at the Alamo Drafthouse and sold pies in the lobby to help raise money for the women’s shelter. 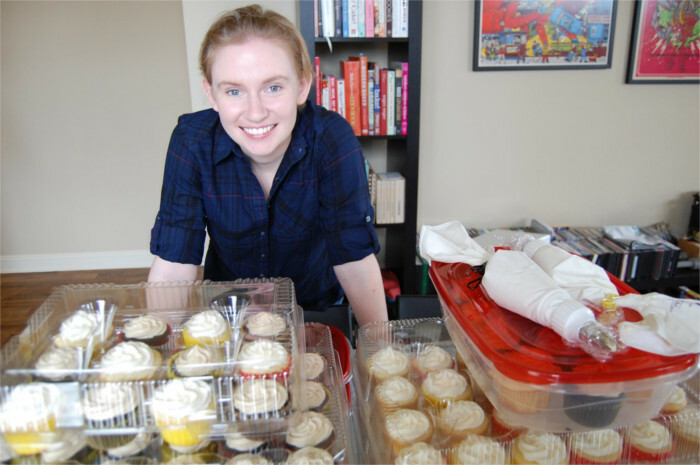 I loved seeing the way our little community of foodies could help support an important cause in the broader community, and it’s what encourages me to participate in the citywide bake sales regularly as well. I’m excited to bring my AFBA experience full circle, as I now serve as the Philanthropy Chair on the board. I can’t wait to see what good we can do as a group this year. We hope you enjoy this member spotlight. For more, go check out Monica’s blog, The Yeast I Can Do.